This is definitely one of the memorable gems from 2015. Dramas dealing with mental disorders are not usually my cup of tea, so I am fortunate to have started KMHM on a whim and ended up loving it. I have to thank Ji Sung and Hwang Jung-eum for playing vital roles in helping me decide to pick up Show, because I absolutely loved Secret. With their already fantastic chemistry from the 2013 drama they generated all-new sparks in their psychiatrist-patient romance. 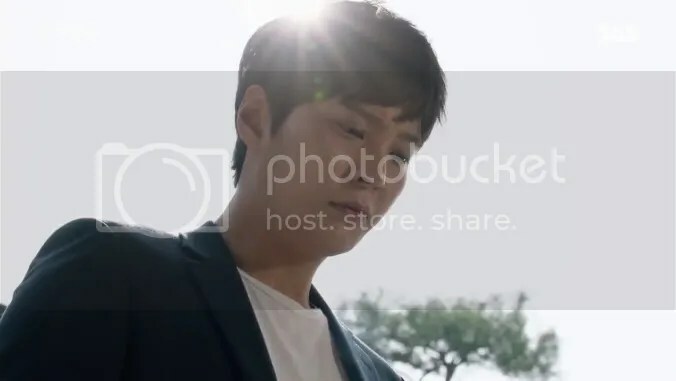 Coupled with generally solid writing and Ji Sung’s amazing portrayal of his various personalities(along with a well-deserved Daesang at the annual drama awards), Show turned out to be one of the best drama offerings of the year. Coming from one of Secret’s writers, I thought that I had to check this out. The premise sounded makjang but it wasn’t that much at all. And it was said to be a melodrama but I actually didn’t find it that melodramatic. Show struck a good balance between the romance and main plot driver AKA Mr Villain Suk-hoon’s revenge plan played by Yeon Jung-hoon. I applaud the actor’s performance as the Big Bad – by the end of Mask his portrayal of the character managed to evoke empathy out of me as a viewer. I also liked how we were shown two very distinct personalities of the doppelgangers Ji-sook and Eun-ha (both played by Soo Ae). It wasn’t hard to tell their character differences, which is certainly a plus point for the drama. Finally I have to compliment the stylists for Show: the outfits across all four leads were well-planned and every single piece of clothing was dazzling! I’m not even exaggerating, it was that nice. This is in my opinion, the most underrated drama of the year in terms of buzz. The TV ratings at home were quite good, just that it wasn’t the talk of town online while it aired. Nevertheless, Show received lots of love from fans gradually and the cast was under the limelight for a while. All the roles from major to minor were played by good actors and under good direction by the production team. Everything, from the main plot to the character relationships was delicately handled and definitely praise-worthy. One of my favourite dramas of the year, this is a highly recommended legal thriller. 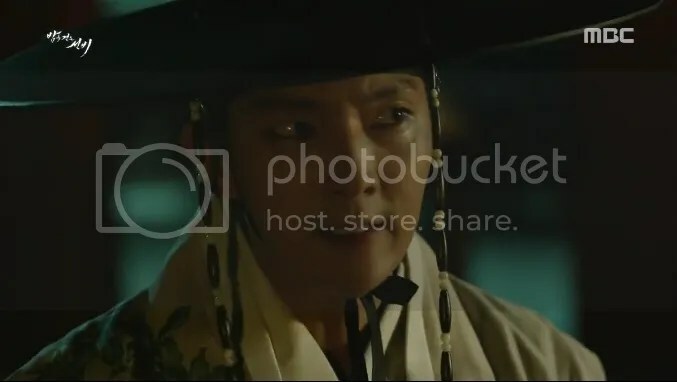 If you miss the drama’s male lead Kim Rae-won by any chance, he has a movie The Prison coming up later this year and it also stars veteran actor Han Suk-kyu. I checked out this drama for (1) the leads Choi Jin-hyuk and Baek Jin-hee (2) the show’s premise. It started off pretty well, with strong groundwork and a solid backstory but there was so much lost potential in terms of the plot and the characters’ development. Although I did like P&P’s portrayal of the real world in terms of corruption, the rich-poor divide and maybe some politics. At some point, it became confusing for me: the direction in which the story was going and a number of unexplained points… or maybe it was just too complicated for me to understand. I’ve said this before, but the writing department for this drama was not-so-good. I swooned over the OTP’s romance – Jung Kyung-ho’s and Kim So-yeon’s characters were lovely; not to forget Jin Goo and Lee Shi-un for playing the best boyfriend and comedic secretary respectively. Stayed for all of their interactions! 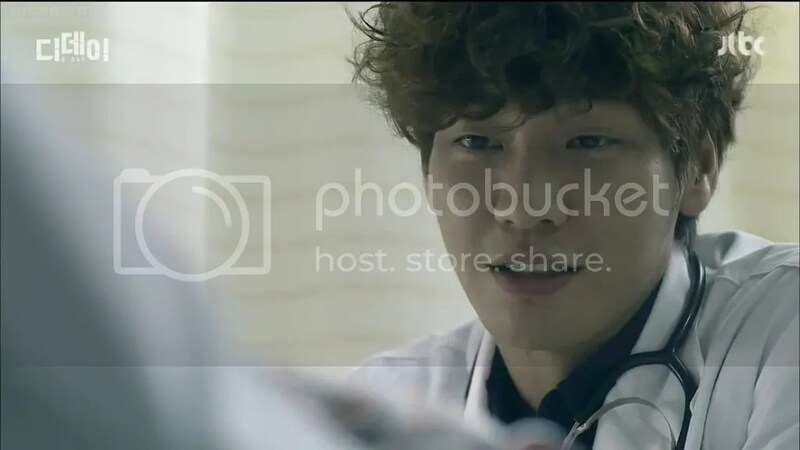 And if only Yoon Hyun-min’s villain role was written better… Still, the love story was worth the watch and even more so if you are a fan of the cast! The drama that followed right after Missing Noir M which I was thoroughly impressed by. I may be biased saying this (because thriller is one of my favourite genres) but it had a good story and direction – I pretty much fell in love from the start. Intrigued from the first episode, I then became really invested in the characters and their emotions. 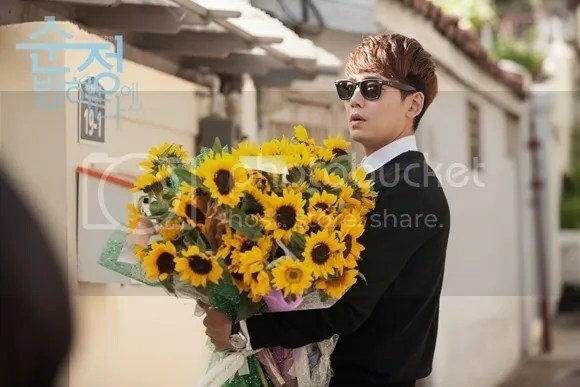 Kim Moo Yul was definitely the star of the show: he made me wish for Do-hyung’s happiness quite early in MBB’s run. Despite most of the show being in the dark territory (lots of fighting and bad guys), the romance was worth rooting for – I believed that Joo-young (Go Sung-hee) and Do-hyung really loved each other. They were met with countless obstacles but the love stayed true and overcame everything. This was also the drama that triggered my urge to watch Heartless City (another crime thriller on jtbc) as I found out after MBB that it was penned by the same writer. And it was also nothing short of amazing. Certainly worth giving it a try. I was so happy and excited about this, because: (1) Joo-won. (2) Interesting premise though set in the medical context. It was such a hit in terms of ratings, coupled with a strong start. I enjoyed the action and the happenings, until about one-third of Yongpal. The show decided to shift its main focus and as a result, lost the appeal that it had in the beginning. At first the character development was not bad, but towards the end it started to feel minimal. I also wasn’t convinced enough by the love story between Tae-hyun (Joo-won) and Yeo-jin (Kim Tae-hee). It could have been better developed instead of giving the impression that it was a little abrupt. There were still some good scenes and story bits here and there, but Show never quite regained the momentum from the front episodes. I feel that this was the most underrated drama of the year in terms of ratings, which were dismal but thankfully the show gained a significant international fanbase. The series explored a genius and psychopaths in an interesting manner and didn’t forget to pose some questions for us to ponder over: about a person’s identity which could have been shaped from certain circumstances or any situation. The OTP was unique in their own way, whether it was in working together or the romance. 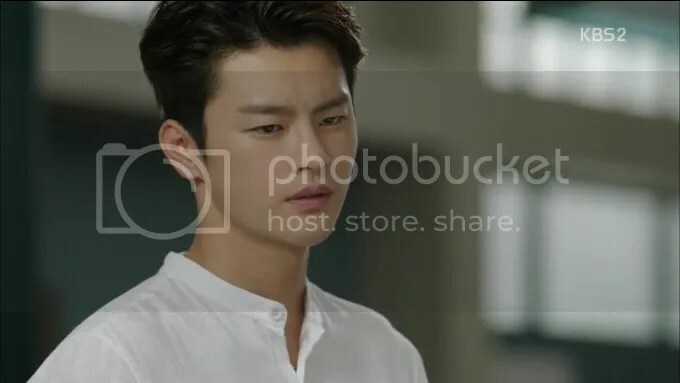 IRY definitely made me want to check out Seo In-guk’s other projects. And more Lee Chun-hee! XD Short review here. If you’ve seen enough medical kdramas, you would know about the typical hospital politics and clashing ideals used in the plot. These are also seen in D-Day, but it is still a special drama being South Korea’s first disaster drama. I must commend the cinematography in Show for their relatively realistic depiction of what an earthquake is like – from the imminent happening to the aftermath. The filming and editing were of good quality and the story was fairly well-paced except for when it began to feel like it was going in circles at some point because similar elements were used more than once. However, since medical dramas are usually human dramas in fact, I would have appreciated the drama further if more time was spent on the characters’ relationships or interactions rather than merely moving on for the story’s progress. 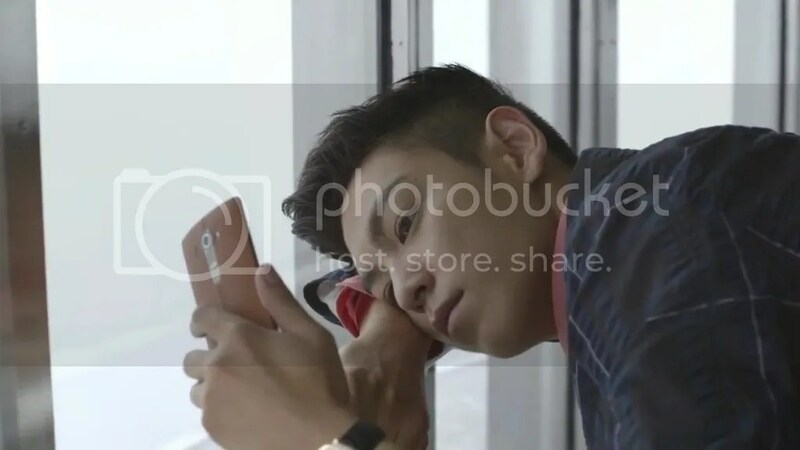 This web drama with 18 10-minute parts grabbed my attention because of TOP (from boyband BIGBANG) aka Choi Seung-hyun who plays Woo-hyun, an aspiring photographer. He gets to know a Japanese lady, Haruka (Ueno Juri) by chance and through text messaging they find a connection and fall in love. Unlike TOP’s usually more sombre roles in his movies as well as dramas, Secret Message showcased his humorous sides, which is perhaps closer to his real life personality. The best part was that he lent his singing voice for the drama ❤ (Have a listen below!) In terms of story, it got kinda frustrating when Woo-hyun and Haruka had yet to meet. I wanted them to meet so badly but it kept being delayed and felt so close yet so far, if you know what I mean. When it comes to web dramas, I feel that it is important to be precise about the scenes with the limited time each episode has. They should have met already. Could have been better. After Oh My Ghost, I found Kim Seul-gi here! Along with Yoon Doo-joon, Show exceeded my expectations in every way possible. The story knew where it was going all along. Although time-travelling is not really my thing, I enjoyed it very much. From how the OTP met, got closer with their interactions to the romance. References to other historical names from sageuks were made, and the overall effect was good. It was only 2 episodes but Show left me wanting more, lol. Having said that, the ending was satisfying. 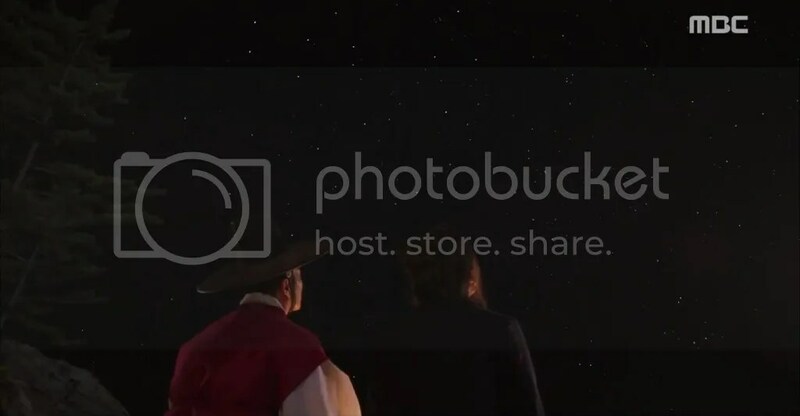 If you want some comedy and something with warmth, Splash Splash Splash Love is the one for you. The literal translation of the Mandarin title is Hearing Happiness. Show tells a heartwarming tale of a blind man and an ordinary girl – how they meet, work together and subsequently fall in love. The premise sounded familiar but what I like about Show was the way it touched hearts. Kingone Wang (王传一) plays Fang Zhancheng, the owner of a departmental store who became blind after a car accident that killed his fiancée. 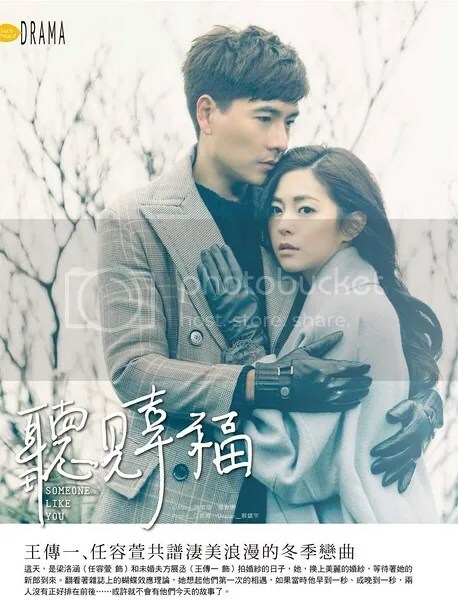 He walks out of his darkness-filled world with the help of Chen Yuxi (Kirsten Ren 任容萱) who takes up a job as Zhancheng’s caretaker to raise money for her brother’s medical fees. Seeing how well Zhancheng treated Yuxi and wanted the best for her, I was so touched by all the little things he did to make her happy. And that was before the actual romance started. In short, the story is well-paced with strong emotional beats. It was great that we didn’t spend a long time on the angst that all romance-centric stories have – it was over pretty quickly. And there was good acting from the leads as well, this is definitely a TWdrama of high quality in the recent years. Oh and I have to give special mention to William Shen, Zhancheng’s personal assistant. I think most TWdramas have secretaries/assistants of the male leads that never fail to crack me up haha. And his bromance with Zhancheng is precious. Show guaranteed to make your heart melt! I watched this almost after I Remember You, and found that Bo Jinyan (Wallace Huo 霍建华) was similar to Hyun in IRY in terms of certain character traits. It was also the same case in the way both dramas worked, since they were crime procedurals. I felt that the first few cases in Love Me If You Dare were better than the cases in the later half, for the way they were executed and had felt more relatable. The cases were rarely what they seemed to be in the first place, and I enjoyed the process of revealing the truth bit by bit with the characters. Jinyan’s bromance with long-time best friend Fu Ziyu (Yin Zhen 尹正) was probably one of the best things in the drama. And Li Xunran (Wang Kai 王凯), a police officer who is good friends with Jian Yao (Ma Si Chun 马思纯) was such a charming character! I practically dived right into the drama without knowing anything about it, so I got quite confused at the start because of all the introductions to the ensemble cast. 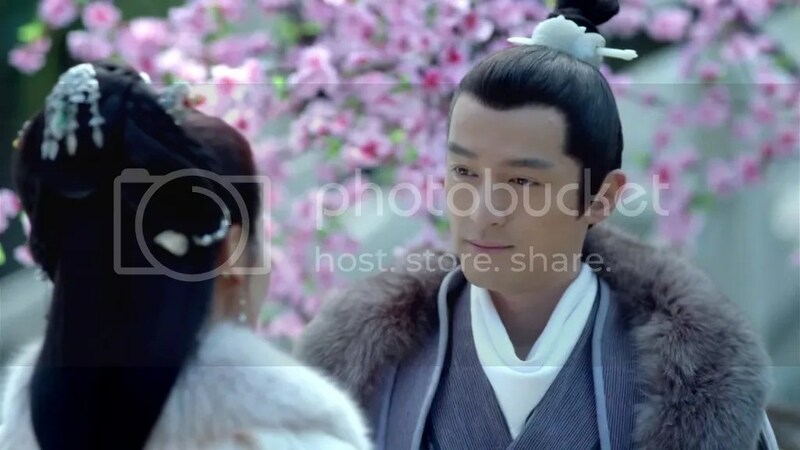 And I needed some time to get accustomed to a historical cdrama (since I hadn’t watched one in a long long time). [To prevent that from happening, it might be good to read the background story beforehand] But it didn’t take me long to get into Show’s heat, with its fast-paced plot and interesting, well-written characters. I loved how progressive the story was despite its 54-episode length, and it proved to be one of NIF’s greatest strengths. Everything was well-planned to head in a certain direction right from the outset and showed no sign of wavering. I became addicted to it long before I even reached the half-mark and it was definitely worth all the hours I spent. I think the addiction came from how the story was driven by politics, and then later how I came to love the people in NIF’s world. Perhaps, the way to enjoy this drama is to follow the plot closely for better understanding. There were a number of great OSTs in dramaland last year, but if I had to choose it would be Punch’s. Thanks, always wanted to check someone like you out but was skeptical. Will check it out now!. As for the kdramas I agree with all your choices. Hi jicresha, you’re welcome! At first I was doubtful about Someone Like You as well, but it didn’t take long for me to get hooked 😛 It’s great that you will be giving it a try 🙂 Ah thank you. There are other good kdramas from last year that I have yet to check out as well – they’re all still sitting on my list! Yes I agree with all the dramas you mentioned! Enjoyed them all like you did 🙂 NIF was LOVE. Amazingggg~ Yup. Hmm maybe you can try Secret? For me, I liked it better than Mask 😛 For Hidden Message, I thought I should just complete it since there were only 18 10-minute episodes (was on the verge of giving up though, LOL). Actually I thought that Masked Prosecutor started out pretty well for a number of episodes until it went downhill, somehow. It’s similar to how I felt for Yongpal. I guess the cast was the one and only saving grace. 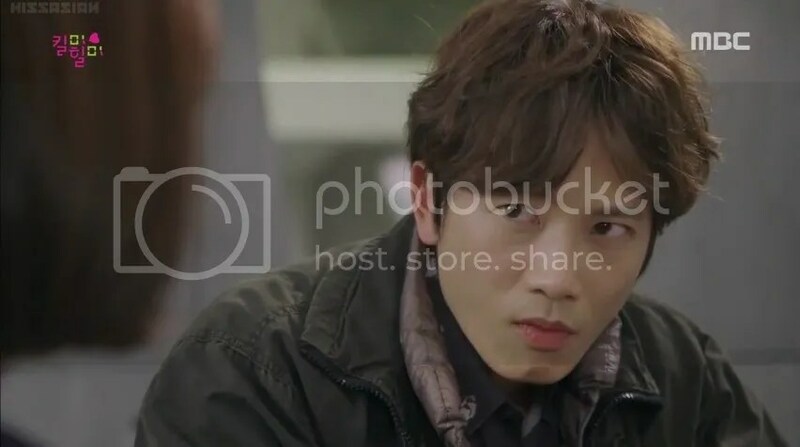 Hahaha I just finished IRY without even preparing for it XD I was too excited to know what was going to happen next and didn’t have to wait since I wasn’t live-watching. But I see where you’re coming from, seeing how everyone loved Taek in AM1998! I haven’t watched any of the Reply series, which reminds me that I should try them out 😛 I understand that emotionally heavy legal thrillers are not for everyone – sometimes you need the right mood and time for it. Maybe you will try it one day XD Watching Punch made me want to check out Empire of Gold from the same writer 😀 Yay for LMIYD! 😉 Awww ❤ I hope you’ll like Someone Like You! Secret.. How makjang is it? 😛 I’ve got the impression that it’s quite strongly makjang. But I’ve not actually tried it myself, so I could be totally wrong. OMG you haven’t seen any of the Reply series?? WHYYYY??? It’s so good! I love AM88! SO HEARTWARMING ❤ ❤ ❤ I LOVED IT. Unreservedly. I highly recommend it! I’ll keep Secret in mind for when I’m in the mood for a strong melo.. which isn’t often, but I’m not gonna say never, since I’ve managed to enjoy some very good melos 🙂 Hope you check out AM94 soon, coz I’d love to hear how you like it! As for DotS, yeah it’s hard to explain but it’s neither the best nor the worst drama ever. And the cast is doing a good job with the acting, with most of the light moments cracking me up! I loved Punch to bits! Hands down my favorite Korean drama in 2015. It left me wondering how could the writer could write such a gripping, heart-breaking and yet greatly satisfying legal thriller without me feeling any sense of boredom? How did he/she manage to make me hold my breath anticipating the next major twist in plot every episode? Also, Kim Rae-won was amazing. Kill Me Heal Me was an interesting one. I thought if somebody else took Ji Sung’s role this might be a major flop. I enjoyed it quite a lot, but the experience was marred a little by Hwang Jung-eum’s over-the-top acting. I know I might be the minority who doesn’t enjoy her acting, but I sure would someone with a more nuanced performance. 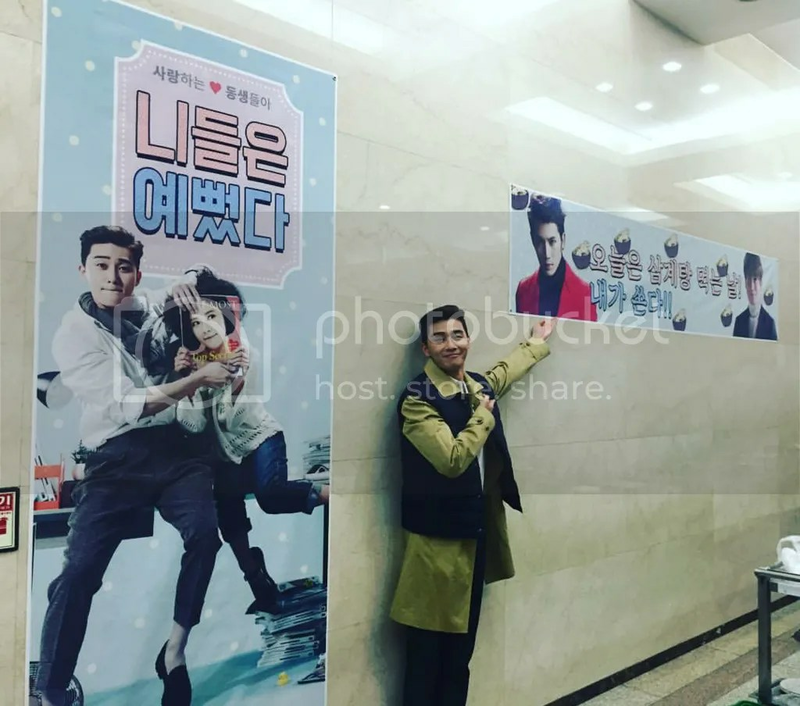 I agree with you, Kill Me Heal me was certainly an interesting drama. Hmm that is not entirely impossible but different actors have different ways of portraying the same character/role. Ji Sung did really well, that’s why we can’t imagine what the show would be like without him. Yes I enjoyed it too (as you can tell XD ) Haha you are definitely not the only one~ But I think she did tone down when more emotional parts came after all the comedy. All in all, Oh Ri-jin would not be the same Ri-jin if someone else took up the role.